How Much Do Hernia Surgeries Cost? Hernia surgical mesh is the medical standard for repairing hernias. Studies show hernia mesh can reduce the likelihood of a hernia coming back. But, hernia mesh can pose its own risk of complications. Surgery is the only way to permanently correct a hernia. Doctors perform more than a million hernia surgeries every year in the U.S.
Hernia surgery can be done with or without mesh. The U.S. Food and Drug Administration has found surgical mesh may improve a patient’s outcome. It can decrease both the time in surgery and the time it takes to recover. But other factors can play a role, too. These include the type of mesh used, the patient’s condition and the surgical approach. Surgical mesh acts as a flexible scaffold in hernia repair. It can reinforce muscle walls and prevent organs from coming through. This can prevent the condition from worsening. General surgeons or urologists generally perform hernia surgeries. The typical hernia mesh surgery lasts about two hours. Surgeons place the mesh over the open hernia. They use sutures, tacks or surgical glue to hold the mesh in place. Over time, the patient’s tissue should grow into the small pores in the mesh and strengthen the muscle wall. This creates scar tissue that strengthens the hernia site. Most mesh repairs are permanent, meaning the implant remains in the body for the rest of the patient’s life. Why do so many surgeons rely on mesh for hernia repair? 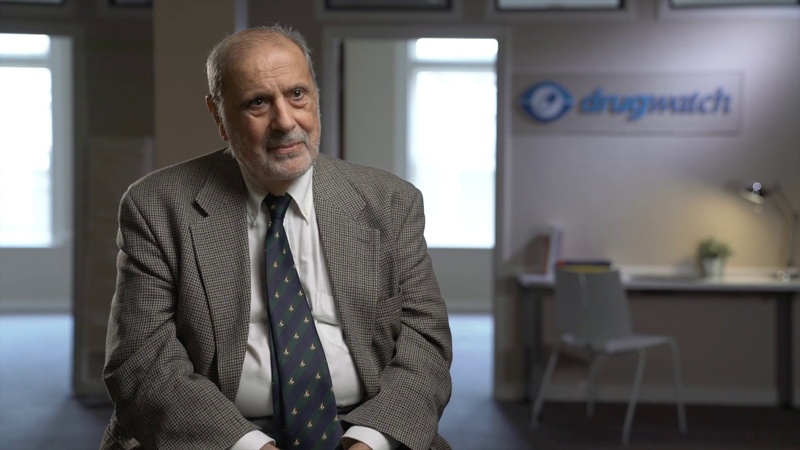 Dr. Robert Bendavid explains the reasons surgeons are using mesh to repair hernias. Studies show hernia mesh can prevent hernias from coming back. Recurrence is one of the biggest problems with hernia repair. There are two types of surgery to implant hernia mesh: laparoscopic repair and open repair. This is minimally invasive surgery. It is always done under general anesthesia. The surgeon makes several small incisions. He then inserts surgical tools through the openings to implant and secure the mesh. This procedure allows for a shorter healing time and less blood loss. But it is more challenging to perform and costs more. Surgeons also use laparoscopic repair to fix hernia recurrences. It avoids old scar tissue. Recovery time is one to two weeks. Strenuous exercise is generally allowed after about four weeks. Surgeons use this procedure with or without surgical mesh. Most open hernia repairs use general anesthesia. But surgeons may instead use spinal or local anesthesia accompanied by sedation. 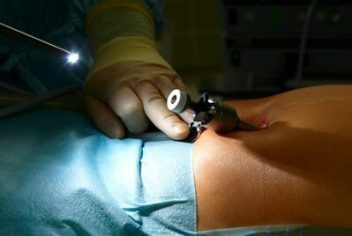 The surgeon makes an incision near the hernia to repair the weak muscle area. Recovery time is about three weeks. Strenuous exercise is generally allowed after six weeks. 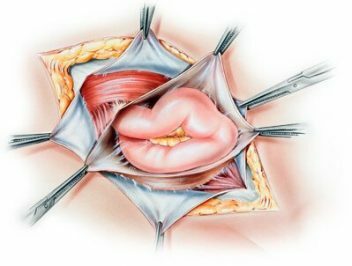 There are three main techniques to repair hernias with mesh. Surgeons may choose one over another because of the patient’s particular condition. Or they choose a technique they are more familiar with. Surgeons enter the peritoneum, the thin membrane covering the abdominal organs. They place the mesh through a small incision. Surgeons avoid the peritoneal cavity. Surgeons consider TEP more difficult to perform than TAPP. But it may result in fewer complications. Surgeons enter the peritoneal cavity. They place mesh on the inside of the peritoneum. The mesh comes in direct contact with intestines and other organs. This technique is faster and easier to perform than TAPP or TEP. It grew in popularity in the 90s. Most surgeons use the TAPP or TEP techniques. The IPOM technique can sometimes cause adhesions and perforations. Hernia patients should arrange for someone to take them to and from the hospital on the day of the surgery. They will also need someone to stay with them for at least a few days after the surgery. Doctors may tell patients to stop using aspirin or blood thinners a week before surgery. These medicines can slow clotting and cause excess bleeding during surgery. Using the medicines may slow the healing process. Hernia mesh surgery is usually an outpatient procedure. That means patients do not have to stay overnight in the hospital. Patients may experience pain as they heal after surgery. Patients should expect several days or longer to recover. Recovering from hernia mesh surgery can take several days to several weeks. It depends on the procedure and the patient’s condition. Patients should tell their doctor as soon as possible about any problems they notice. A 2017 survey estimated the cost of all types of hernia surgery is between $5,800 and $7,800. The survey looked at insurance databases. Results showed doctors charged $850 for the procedure. The remaining $5,000 to $7,000 was for hospital charges. These included items such as operating rooms and anesthesia. The chances a person will get a hernia rises from 10 percent to 50 percent by the time a person is 75. Medicare will cover at least part of the cost for most of these patients. Medicare Part B covers 80 percent of outpatient procedures, including hernia surgeries. Hernia repair with surgical mesh can lead to complications. Surgery is the only way to correct some of the most serious hernia mesh complications. A surgeon may have to remove healthy tissue to repair damage. Surgeons may also have to remove part of the intestines if tissue adheres to the mesh.